Since we last met, we’ve been gallivanting around some of our favourite parts of Spain. 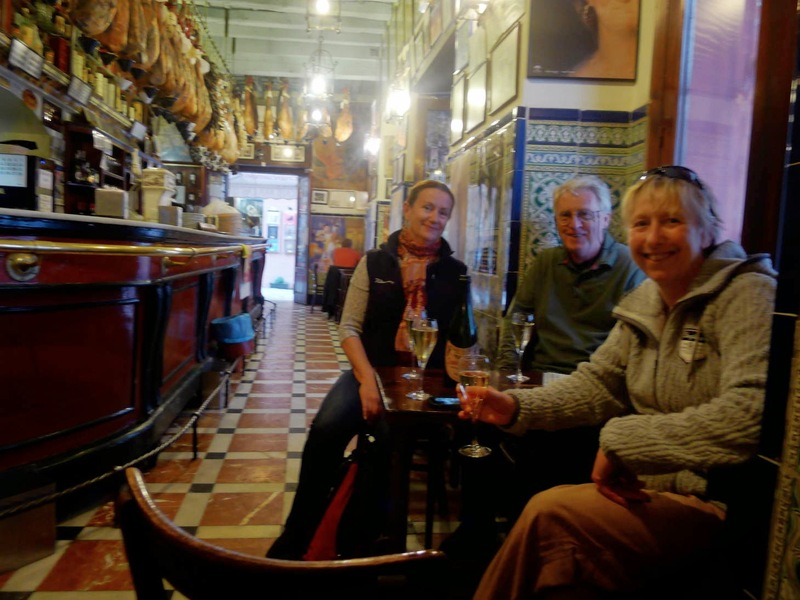 We met Darren and Clare in Sevilla as planned along with another Bimobil couple, Ginny and Al. We took our pals on a bar crawl of our favourite watering holes in Sevilla – an easy and fun task. No shortage of fabulous bars in Sevilla. We've tried most of them over the years. 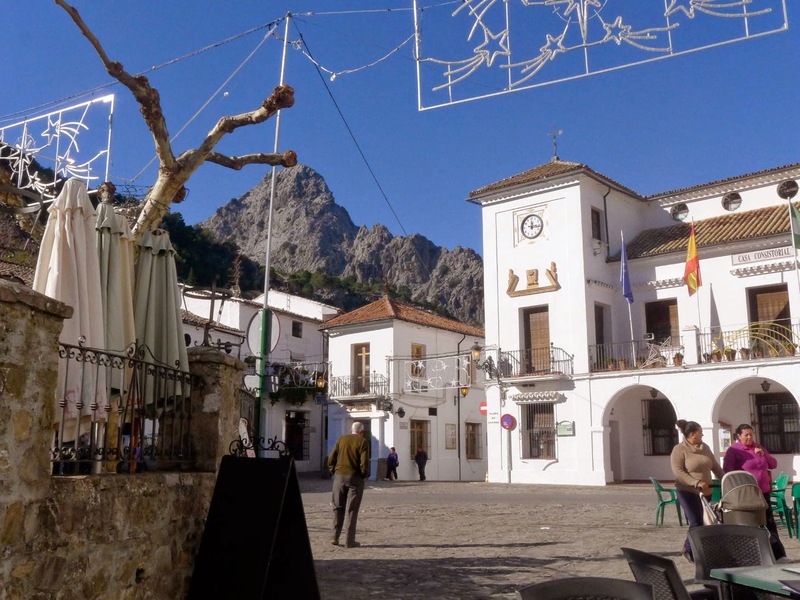 Next day, we set off for Ronda, parked in a lovely campsite and lazily spent the afternoon sitting in the sun drinking wine and playing Scrabble. We then set off for the Sierra Nevada with the others joining us later. We led our mates astray again by walking into the local village and – you guessed it – found a great bar. It was an hilarious afternoon. Much wine, fabulous free tapas, and a group of Spanish walkers singing ‘Waltzing Matilda’. 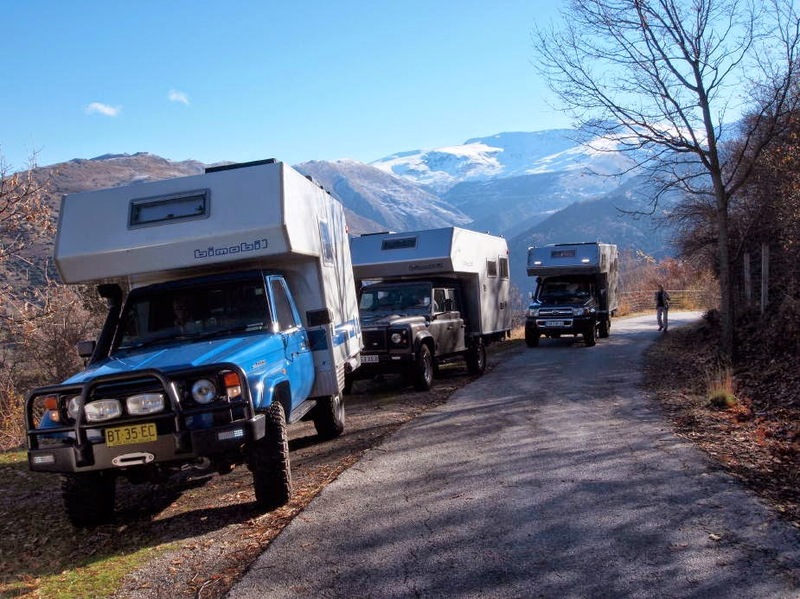 Then we got serious, after all we had 3 off-road campers that needed testing and some filming and publicity shots to take. We took a brilliant road up to the base of Mulhacen, the highest mountain in Spain (3,200m). The road was very narrow, steep and bendy. Some of the hairpins took 3 point turns to manoeuvre (Boris having the turning circle of a barge), but the trickiest part was getting through the village. We caused some heads to turn. You can imagine the narrow, winding streets of a Spanish hill town. 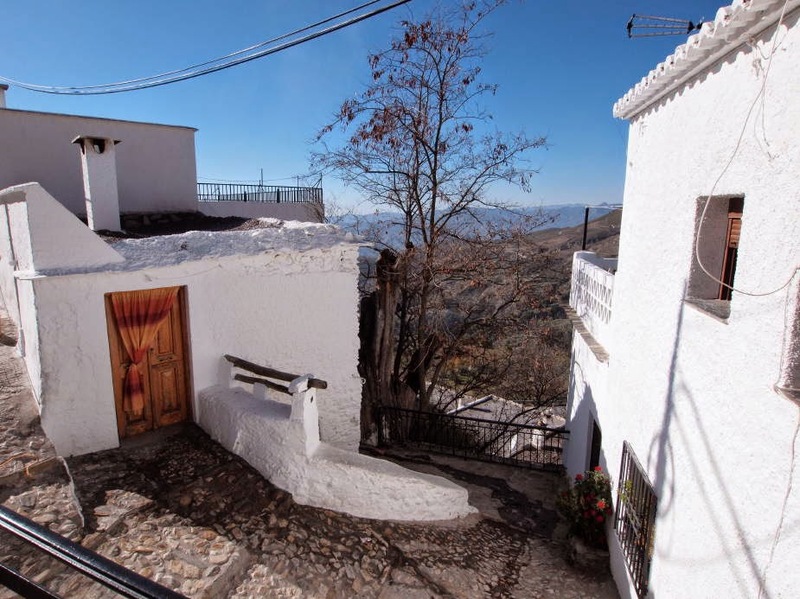 From the high Sierra we went south to the Alpujarra (low sierra) and camped near the hippy-ish town of Orgiva. 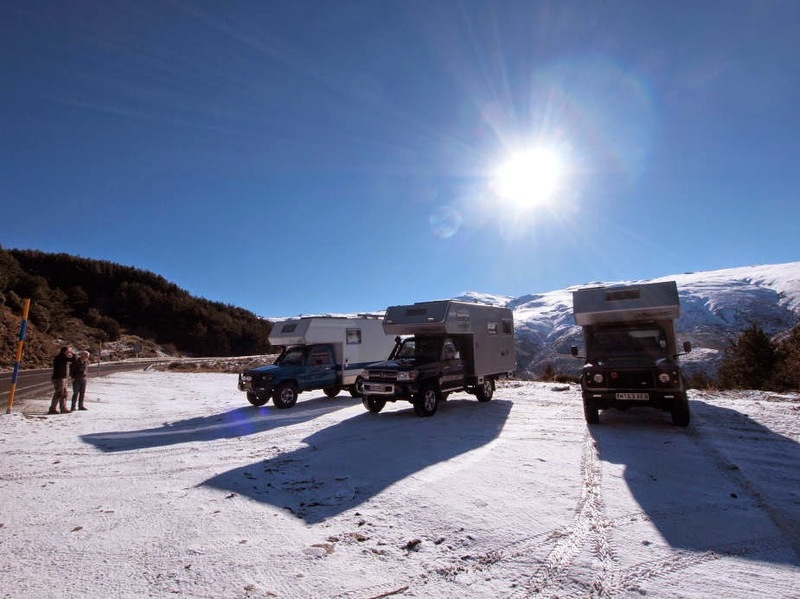 We did another great road and got loads of good footage and photos. After saying farewell to Al and Ginny, the 4 of us headed to the Med for some R&R (you may laugh). Happily we found a beach spot with no karaoke, no line dancing and no bingo. 3 days of sun, seafood and cheap wine and we felt ready to tackle anything. Clare and Darren had to return to the UK and we headed back to Sevilla (our all-time favourite city). The forecast for the weekend was so dire that we decided to hole-up in a cheapo apartment to weather the storm – a good decision, as storm it did. In a city that boasts some of the best bars going, we got stuck during a rainstorm in what is probably the crummiest bar in town – oh well, it was only for an hour. 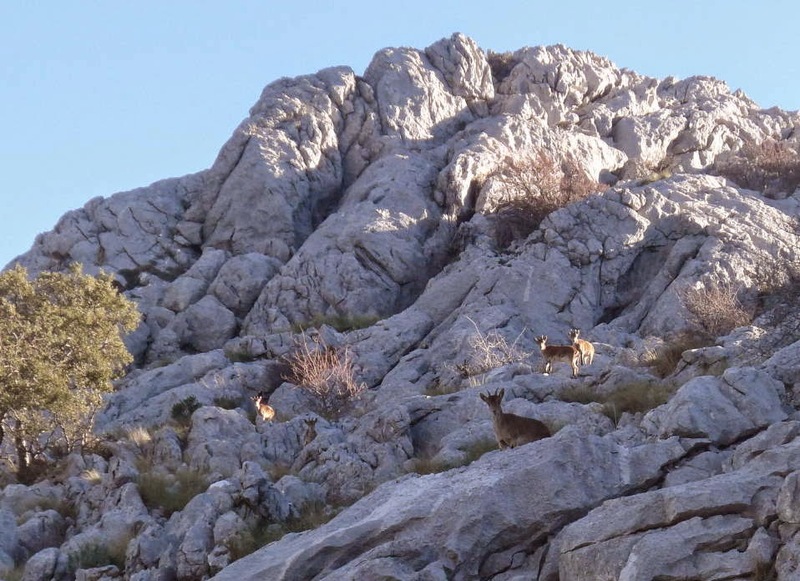 We then did an overnighter in our favourite Pueblo Blanco, Grazalema, and did a brilliant walk in the mountains accompanied some of the way by a herd of Ibex. 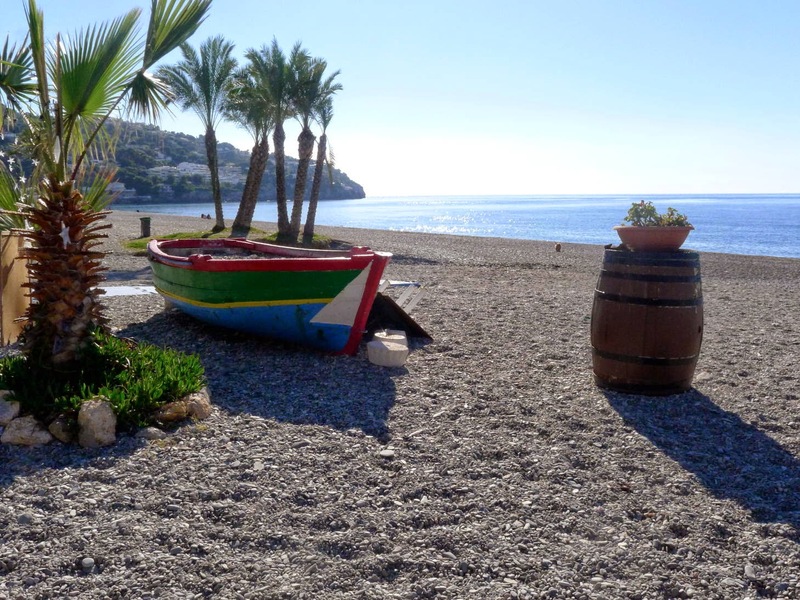 This is my favourite region in Spain – beautiful, rugged and untouched. We’ll get back there next year for a few days walking, having sussed out a great place to ‘wild camp’ in Boris. Grazalema - OK you've seen photos of this place before - but ain't it lovely? Next stop Conil, on the Atlantic coast to catch up with Sophie, the Golden Retriever. Her Mum and Dad (Tony and Kelveen) kindly cooked us dinner and plied us with wine - thanks! So now we are back in El Puerto de Santa Maria (not sure why we had to choose a place with such a long winded name – will be known as El P from here on in). Weather has been mixed but yesterday was glorious - sunny, warm, wonderful. Forecast is good and we’ll head to El Rocio for Xmas (the horsey town). We’ll come back here for hopefully a month. Our mates who live in Brittany should be here early in the new year, and will be fun catching up. I’m planning another shopping trip to Jerez with Jan, so much more fun to do a girls’ day without impatient men standing outside looking at their watches.